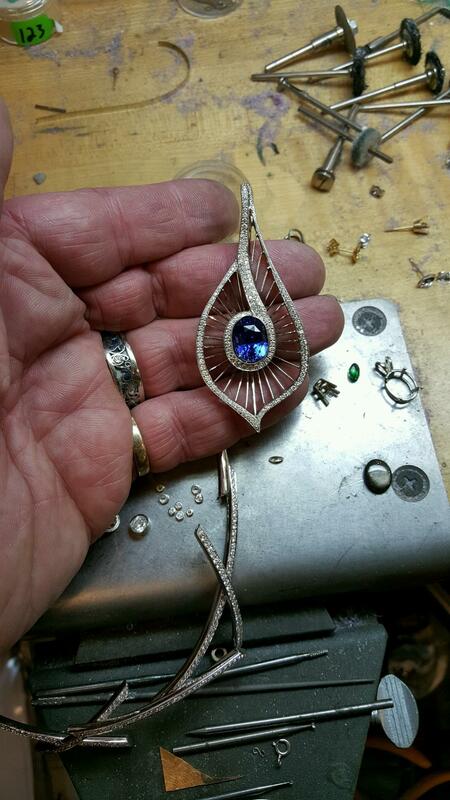 Terry Quinn from Quinn’s Goldsmith in Occoquan, VA was recently honored by his peers when three of his original designs were selected as a winner in a jewelry design contest held at the semi-annual conference of the Independent Jewelers Organization (IJO) in Orlando, FL. Quinn’s Goldsmith is the exclusive IJO member in the Occoquan area, and while in Orlando, Terry had the opportunity to see the very latest in jewelry designs for the upcoming spring season. He also attended a series of educational seminars designed to allow them to provide the finest service to local customers, in addition to their exceptional talent for exquisite design.